ArcelorMittal, the world’s largest steel maker, has abandoned a $12 billion project in the eastern Indian state of Odisha due to land acquisition delays. The decision comes as a major setback to India’s foreign direct investment (FDI) initiatives. In 2006, ArcelorMittal agreed to manufacture 12 million tonnes of steel a year in Odisha, but it has now decided to scrap the plans. 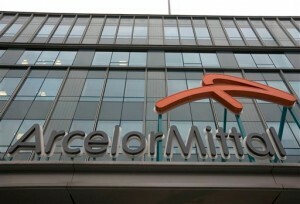 “ArcelorMittal has not been able to acquire the requisite land for the steel plant, nor has it been able to ensure captive iron ore security, which is a necessary requirement for the project,” the company has said in a statement. “Therefore, taking into account the current economic climate, ArcelorMittal has concluded it will no longer be pursuing its plans for a steel plant in Keonjhar (in Orissa) at this stage,” it added. Meanwhile, the state government has said the project was a “non-starter”. “ArcelorMittal was a non-starter and it was never really interested in building a steel plant in Odisha. It failed to meet major milestones though it had signed a memorandum of understanding with us in 2006,” said Odisha Steel and Mines Minister Rajni Kant Singh. South Korean steel giant Posco scrapped a $5.3 billion project in southern India earlier this week. Farmers in Odisha have been protesting against the acquisition of land by the state government for Arcelor Mittal, saying they are being forced to sell land at below market rates.